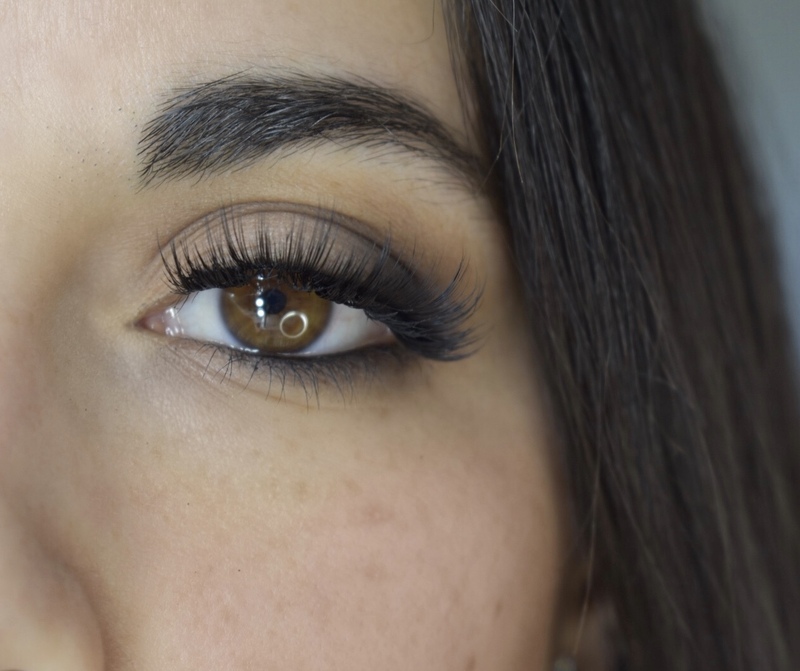 I am back with another magnetic lash review and these have totally blown me away! 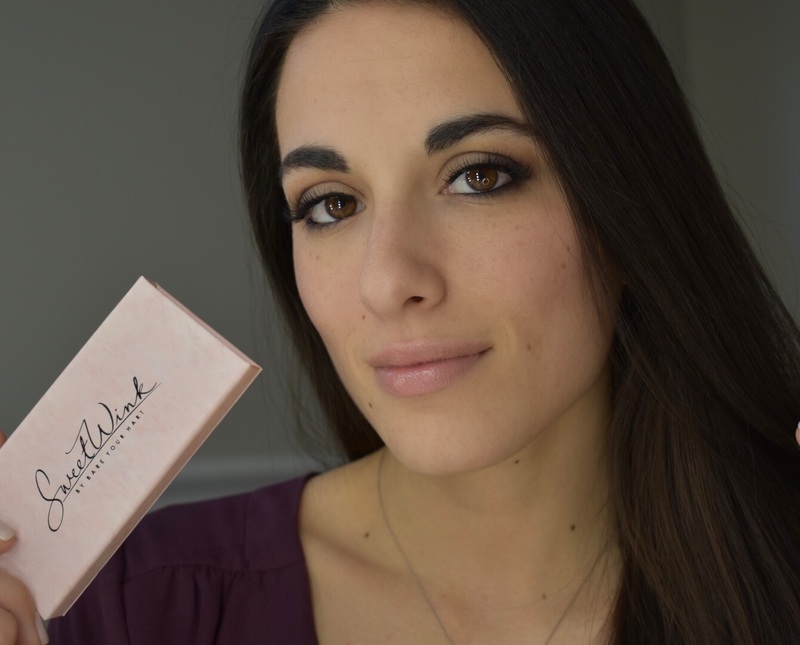 Let me introduce you to Sweet Wink by Bare your Hart! 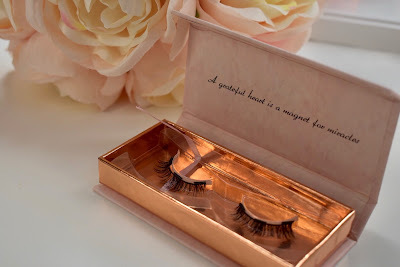 These are hands down the best magnetic lashes I have tried! These have the look of regular strip lashes without the glue and mess. Unlike the other ones I have tried, these curve perfectly to the eye and have a great curl to them. Brittany has really out done herself with these! The lashes look very high quality and the packaging is beautiful. 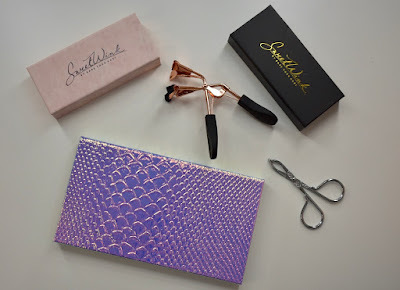 You can store your lashes back in their case when they are done or there is a magnetic palette you can buy separately in order to keep your whole collection together. She also sells a special applicator for these that can double as an eyelash curler. There are 3 styles: Eve, Princess Diana, and Queen Elizabeth. Currently only the Princess Diana and Queen Elizabeth are available, however the Eve lashes will be in soon. The Princess Diana lashes are perfect for every day wear, they add length and volume without looking too dramatic. In my opinion they make it look like I have lash extensions! These so far are my favorite, however I am looking forward to trying the Eve Lash as well for everyday wear. Below is a close up of the Princess Diana Lashes. The Queen Elizabeth lashes are more bold, perfect for a night out! 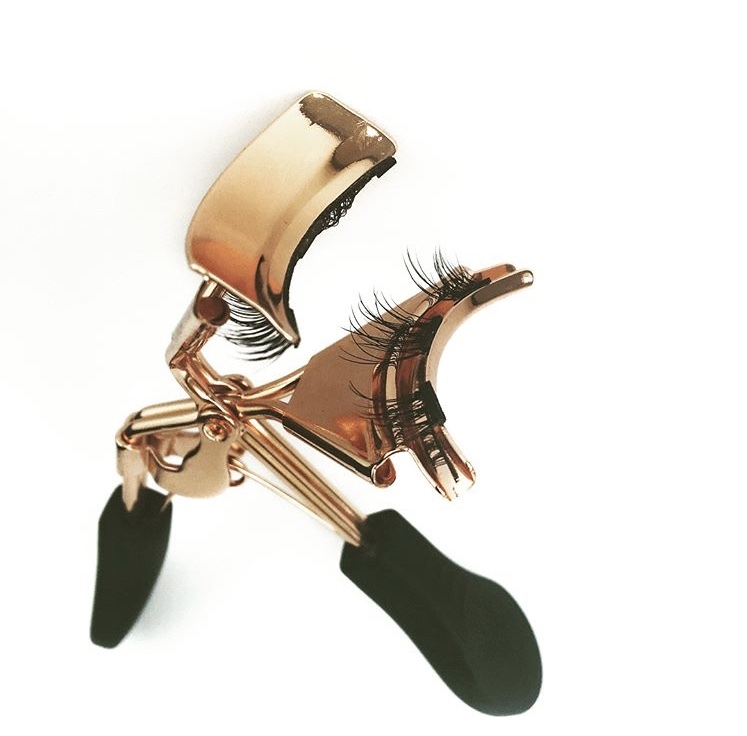 If you're looking for a lash that stands out you will love these! I can't wait to do a glam look with these. These have a ton of volume and curl but maintain a light weight on your eyes. Here's a close up below! 1. Take your top lash and place it on the applicator facing in. 2. Take the 3 bottom strips line them up on the bottom of the applicator also facing in. 4. If any aren't lined up properly slide it off and use tweezers to readjust. 1. 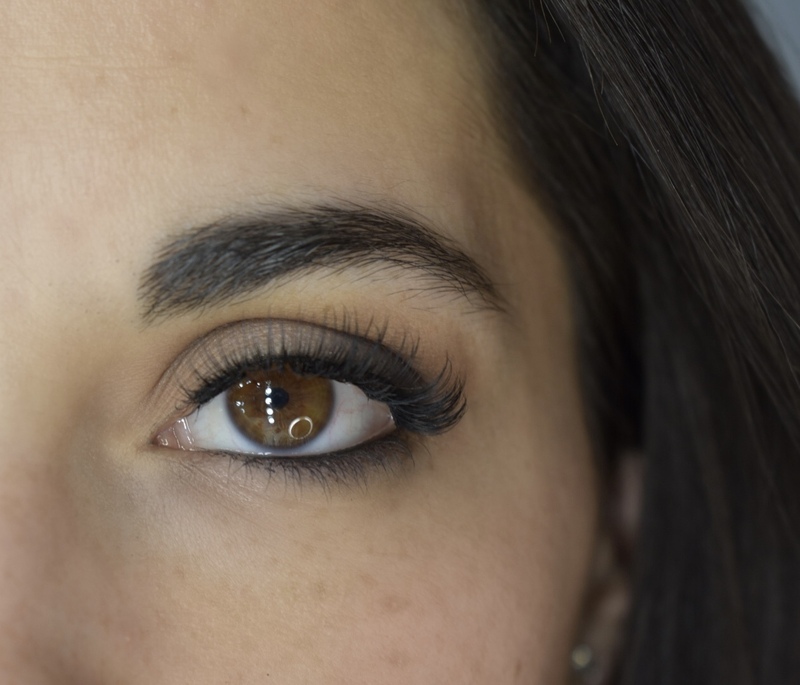 With your fingers place the top lash on your natural lashes. 2. Hold down the outer corner as close as you can to the lash line. With lash tweezers (find the ones I use here) take the bottom lash and place underneath your lashes and connect. 3. Follow the same process for the middle and inner corner pieces. Both application methods will work, it's just a matter of what you find works best for you! Definitely take the time to play with them. I had absolutely no difficulty with these and got them on the first try, but don't be discouraged if you don't. There is also a tutorial on the instagram page @bareyourhart you can watch as well. You may even find a different method that works for you! To remove just slide each individual magnet in opposite directions. After taking each piece off re-attach them to the corresponding top magnet to store them, this ensures they don't get lost. Each set of lashes has bottom pieces that are custom to that style lash so its best to just keep them with the assigned lash. You can put them back in the box or the magnetic palette if you choose to purchase it. These are hands down the best magnetic lashes I own, if not my favorite lashes I own period. I personally don't like to spend a ton of money on strip lashes that get junky after a few uses. These if taken care of properly will last months before needing replacement. I will definitely be stocking up on these lashes because I can't live without them! If you have been curious about magnetic lashes these are the ones to try. They are very affordable and well made. If you would like to purchase you can head over to www.bareyourhart.com/discount/NIKKI10 to receive 10% off your orders of 35$ or more! 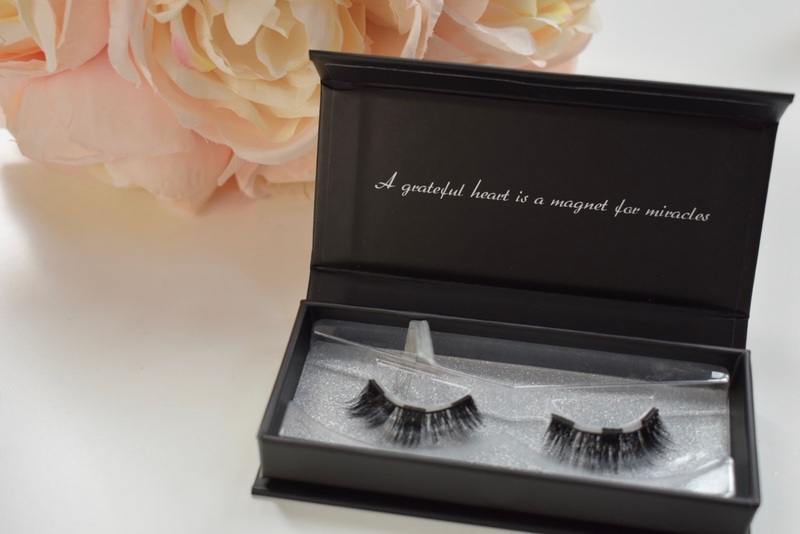 What has your experience been with magnetic lashes? Have you tried them or do you prefer traditional false lashes? If you have any questions about these lashes or application please drop them below in the comments!